Empruntez ce titre et accédez à plus d'un million d'ebooks au choix. Profitez de 14 jours d'essai gratuit, résiliez à tout moment. 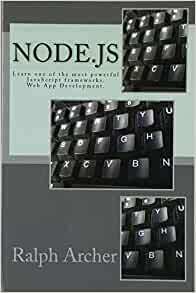 This book is an exploration of the Node.js framework. The first part of the book is an exploration of what the framework is, where it is used, and how to use it. The reasons which have made the Node.js framework very popular are discussed in this book. This will help you in understanding the framework more. Error handling is very crucial in software applications, including the ones for Node.js. You need to learn how to implement this in your web applications. This book will guide you on how to implement the concept of error handling in your Node.js applications, meaning that you will make your application safer. The concept of strict mode in coding is also discussed in this book, so that you will learn how take advantage of it. You will also learn to use a global variable as a cache. Errors are paramount in applications as well as in node applications. The tools which can assist you in debugging your Node.js application are discussed to help you in handling errors in your node programs more effectively. There are also errors which you can hardly trace on your own in your application. This book guides you in understanding the concept of error handling in depth. The Apple push notification backend in Node.js is explored in this book, showing both what it is and how to use it. Commencez à lire Node.js sur votre Kindle en moins d'une minute. 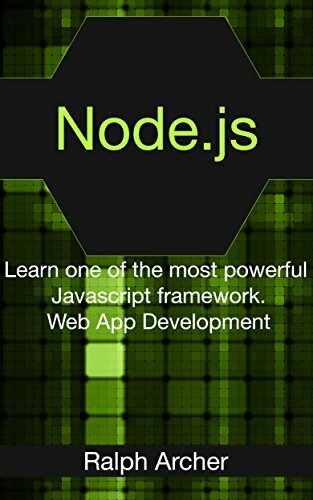 Great book to help get started with Node.js. The book teaches you how to build back end applications as well a various others. It is a highly effective framework that requires time to understand and use efficiently. Great book that encapsulates all this information in an easy to understand manor. Very disappointed. Did not have a complete project example, just short snippets. LOTS of whitespace for an already very short book. This book have been better suited as a periodical publication piece. The pitch to purchase was to learn everything needed to get started developing in Node.js, but this failed to deliver. Sorry to say that this a poor excuse for a book. Very little content and none of it connected in any relevant way. It reminds me of poorly taken course notes. The only good I can say is it introduces concepts that prompt you to look elsewhere for relevant and educational information on those concepts. Une personne a trouvé cela utile. 1,0 sur 5 étoilesbut the quality is poor overall. To echo other's comments. The code is not formatted, ie. not indented, so following code blocks and the logic is very difficult and makes it harder to grasp what is going on. There are also typos in the code. Low price, but the quality is poor overall.